These resources were developed by researchers and clinicians (Principal Investigator: Aleksandra Zgierska, MD, PhD) at the University of Wisconsin-Madison School of Medicine & Public Health – Department of Family Medicine. This project was supported by grant K23 AA017508 from the National Institute on Alcohol Abuse and Alcoholism and a National Research Services Award (T32 HP10010) from the Health Resources and Services Administration to the University of WIsconsin. Additional support was provided by the University of Wisconsin School of Medicine and Public Health’s Health Innovation Program (HIP), and the Community-Academic Partnerships core of the University of Wisconsin Institute for Clinical and Translational Research (UW ICTR), grant UL1 TR000427 from the Clinical and Translational Science Award (CTSA) program of the National Center for Advancing Translational Sciences (NCATS), National Institutes of Health. The content is solely the responsibility of the authors and does not necessarily represent the official views of the NIH. Zgierska A, Wallace ML, Burzinski CA, et al. Pharmacological and toxicological profile of opioid-treated, chronic low back pain patients entering a mindfulness intervention randomized controlled trial. J Opioid Manag 2014;10(5):323-35. 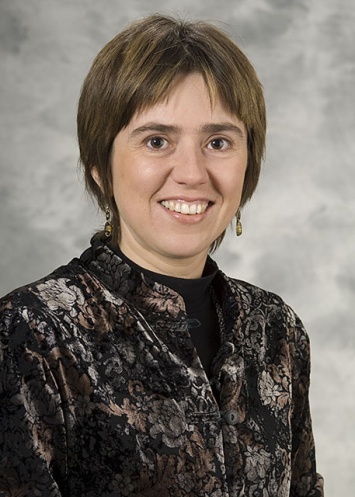 Aleksandra Zgierska, MD, PhD is an Assistant Professor in the Department of Family Medicine. Her studies are rooted in her clinical practice in family medicine and addiction medicine, and focus on substance use disorders and their spectrum. Dr. Zgierska’s research includes clinical trials of innovative interventions, development of interactive training programs for clinicians on the management of substance misuse, and, more recently, health services research. Her current randomized clinical trials evaluate meditation-based interventions for improving outcomes among adults with addictive disorders and opioid-treated chronic pain. She aims to investigate the relationship between patients’ satisfaction with care and opioid prescribing.